As part of the International Year of Youth, the General Assembly will hold a high-level meeting on youth on 25 and 26 July 2011. The high-level meeting will have as its overarching theme “Youth: Dialogue and Mutual Understanding”. Round table 2: Challenges to youth development and opportunities for poverty eradication, employment and sustainable development. Brazzaville (Republic of the Congo) / Nairobi, 8 June 2011 - Countries from the tropical forest ecosystems of the Amazon, Congo and South East Asia have strengthened co-operation on the sustainable use of forest resources to achieve national economic growth, at a major summit in Congo-Brazzaville. The Summit of Heads of State and Government on Tropical Forest Ecosystems brought together representatives from 32 countries from the world's main forest regions for the first time. The summit was hosted by the government of the Republic of the Congo, with support from the United Nations Environment Programme (UNEP) and other UN agencies. Delegates adopted a joint declaration to work together to improve the sustainable management of tropical forests. It addresses issues such as biodiversity, climate change, national development and deforestation in the context of the UN Climate Change Conference in Durban in December 2010 and next year's UN Conference on Sustainable Development in Brazil (known as Rio+20). In the declaration, the heads of state and government affirm their commitment to put in place enabling mechanisms that would encourage position the forest sector as a key tool for the transition towards a low-carbon, resource efficient green economy, sustainable development and poverty reduction in their countries. The Amazon, the Congo basin, together with the tropical forests of Southeast Asia cover 31% of the world's land area, house more than half of all terrestrial biodiversity and contribute to the livelihoods of more than one and a half billion people. The forest basins provide vital ecosystem services and goods – such as food and timber resources and water purification - that underpin human wellbeing and a vital part of regional economies. Delegates at the Brazzaville summit stressed the need for adequate, reliable and sustainable financing to allow their countries to meet the challenges of sustainable forest management and other forest-related commitments. They recommended new public-private and civil society partnerships, as well as multilateral co-operation, to facilitate investments to strengthen forest-related sectors in their countries. Particularly, the Heads of State and Government called for concrete steps on how to move forward international financing instruments such as the Reducing Emissions from Deforestation and Forest Degradation in Developing Countries (REDD+) initiative and secure the phase 3 funding that tropical forest basin countries critically need. They appointed Mr. Bharrat Jagdeo, President of Guyana, as Goodwill Ambassador for the forests of the three basins to work with developed and developing countries to find solutions and resources to improve management of these globally vital forest resources. The Brazzaville Declaration, which recommends that forests be considered as a priority area at next year's Rio +20 conference, is the first step towards a more formal co-operation agreement on forests between countries of the three major tropical forests basins and other countries worldwide. Delegates mandated Denis Sassou Nguesso, President of the Republic of Congo, to coordinate the development of the cooperation agreement, in consultation with the countries of the three tropical forest basins and relevant regional organizations (Amazon Cooperation Treaty Organization (ACTO), The Association of Southeast Asian Nations (ASEAN) and Central African Forests Commission (COMIFAC). The next summit will be held in June 2010 in conjunction with the Rio+20 sustainable development conference in Brazil. It will review progress made since the Brazzaville summit and aim to adopt the co-operation agreement in time for Rio+20. The United Nations Environment Programme (UNEP) in collaboration with the Government of Indonesia will be organizing its Tunza International Children & Youth Conference on the Environment , from 26 to 30 September 2011. It will bring together 1400 children and youth, to discuss their role and inputs to the upcoming United Nations Conference on Sustainable Development " Rio+20". 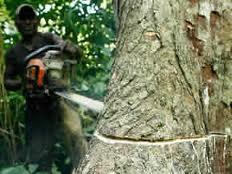 Under the slogan ' Reshaping Our future through A Green Economy and Sustainable Lifestyle'. The conference will also review the contribution of youth to the International Year of Forests and how they can adopt more environment-friendly lifestyles. The conference themes are Rio + 20 (Green Economy) / Green Lifestyles, Forests, Sustainable Consumption and State of the Global Environment from the youth perspective. On the occasion of World Environment Day people around the world celebrate this day in different way. Some of us celebrate this day to educate people in their own communities. But we need to help other people to know more about this day. Yes, we can tell them about what they can do and how they can organize their own community some activities. Who can be involve and how? Governments, International organizations, NGOs, private companies, Youth and children groups, this is a very important day to organize some activities in your own communities to save the planet. We need to work together to reduce global warming, end pollution and save endangered species single-handed. By choosing also to live an earth-friendly lifestyle we can do a lot every day to help achieve those goals. Who can support your activity for the World Environment Day? Governments, International organizations, NGOs, private companies can provide a support to your activity, by focusing your activity on the main objective of this day. The activities of this day have to focus on the main topic of this year. As this year has been chosen as the forest year by the United Nations (UN).People can plant trees, collect waste or organize workshops and music concert. Many people around the world do not know why other people celebrate this day each year. Why `do we celebrate the World Environment Day? The world needs people who can act positively and work together to reduce global warming, end pollution and save endangered species single-handed and help achieve those goals. 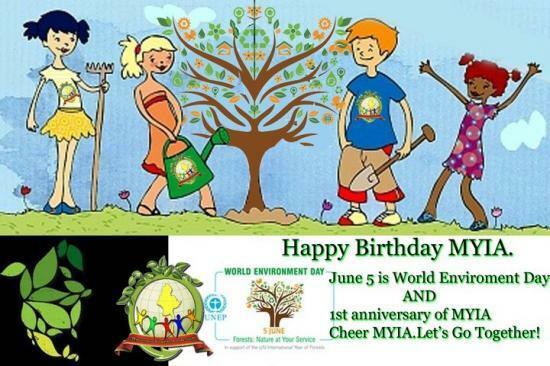 Let´s celebrate the World Environment Day on 5 June 2011. Report on ‘Sea turtle and their habitat conservation programme in Orissa , India.